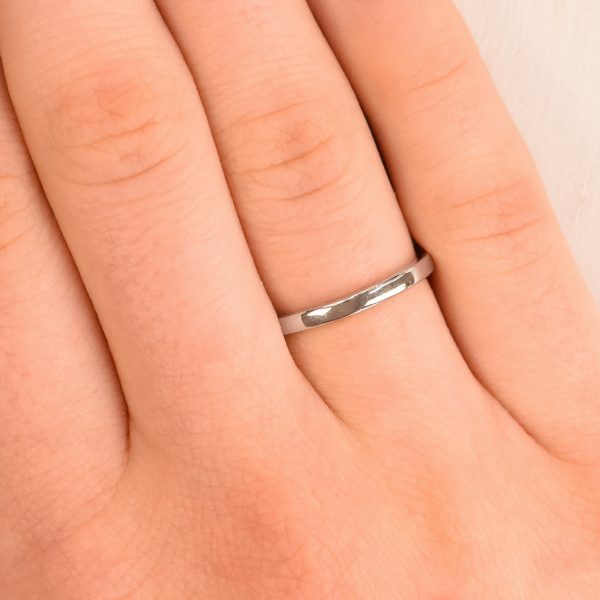 A slim platinum wedding ring with a 2mm width and 1.5mm deep flat profile. 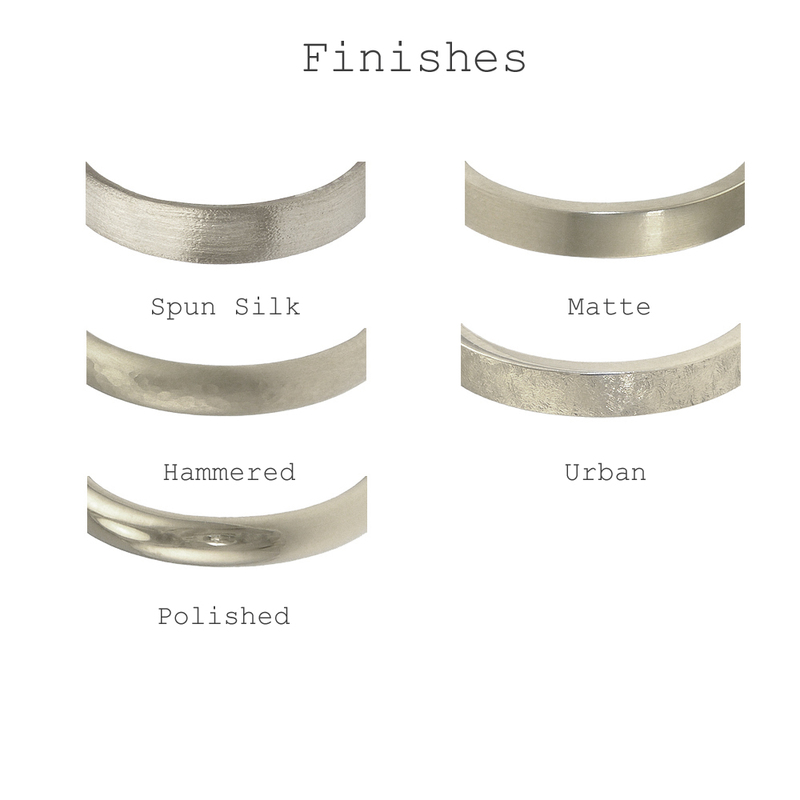 Each ring is made to order with a choice of 5 finishes available. 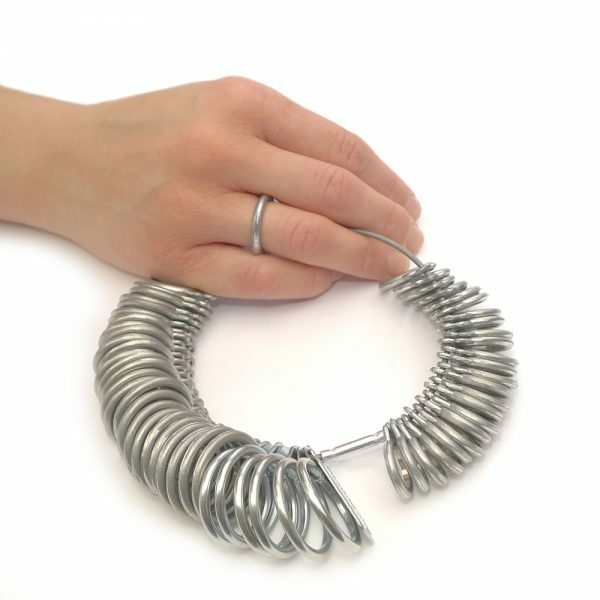 Order in any UK ring size or 1/2 size, including plus sizes. 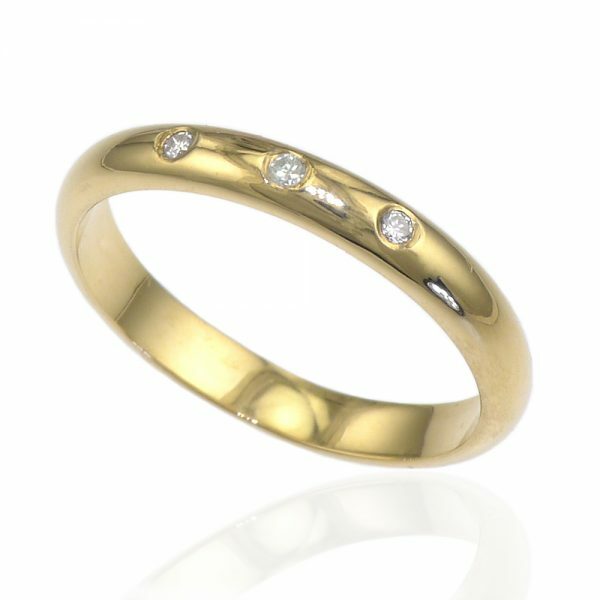 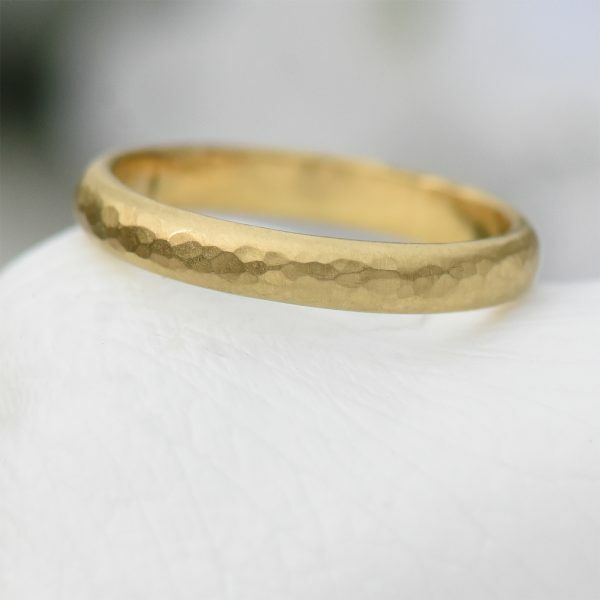 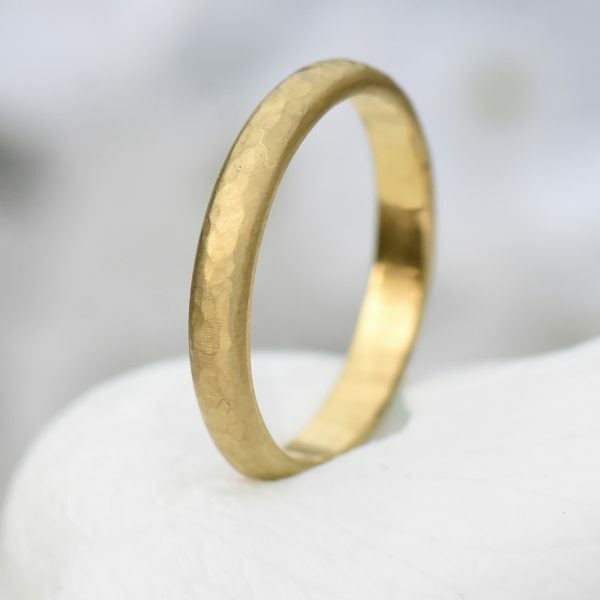 Your wedding ring will be handmade in England using traditional jewellery making techniques before being sent for hallmarking by the Birmingham Assay Office. 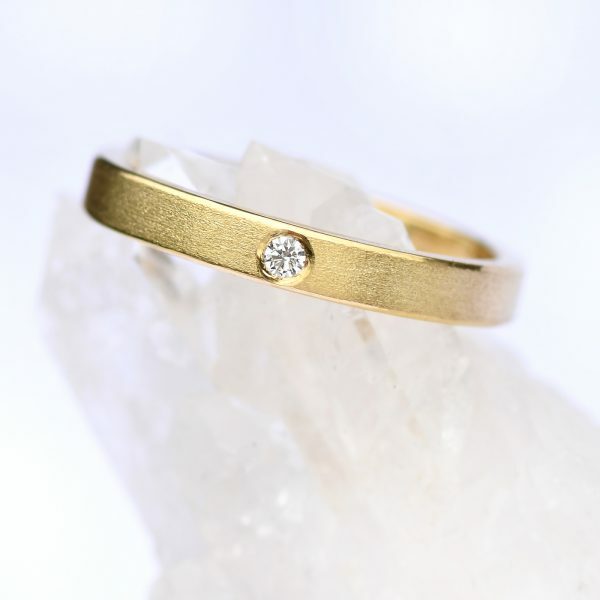 Your order will be sent to you within 6-8 weeks of your order date. Need some help? Contact us with your requirements. 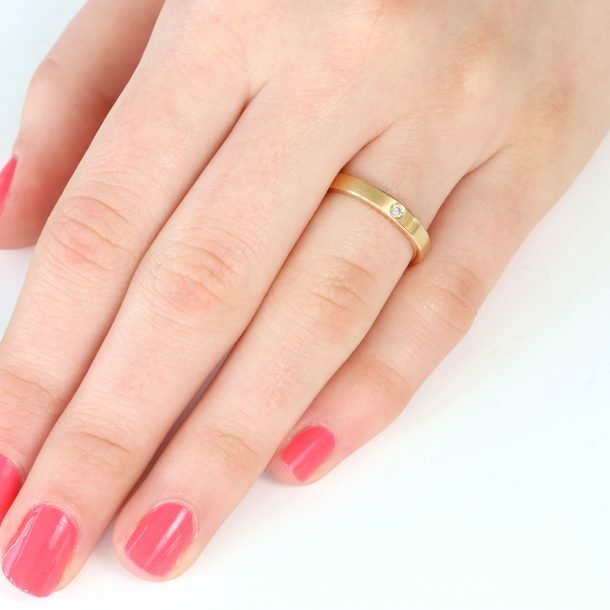 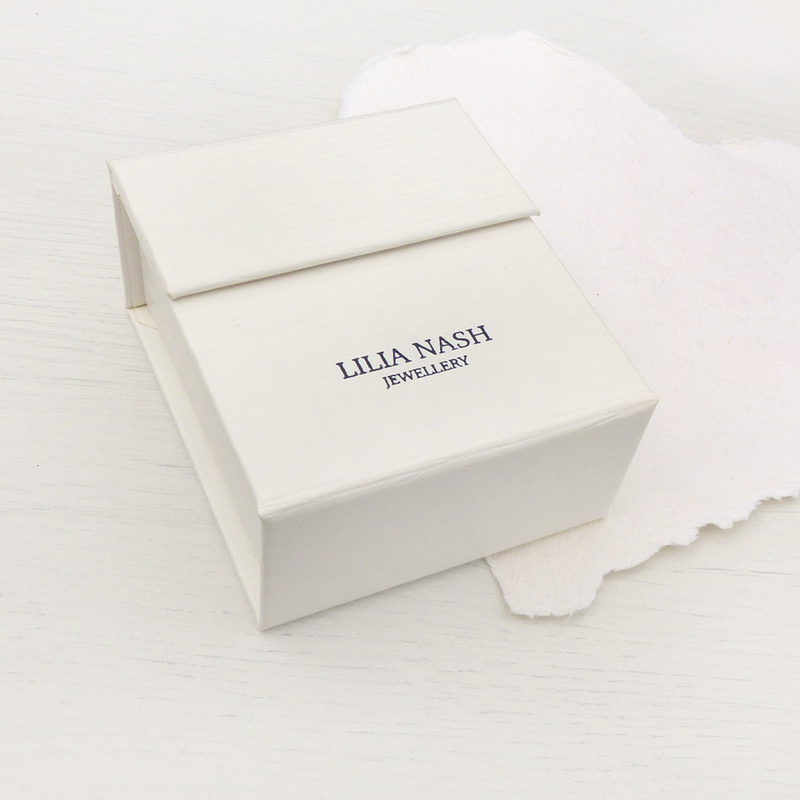 Lilia Nash offers customisation for all of her ring designs, with the option to order in an EU or US ring size, as well as in 1/4 sizes. 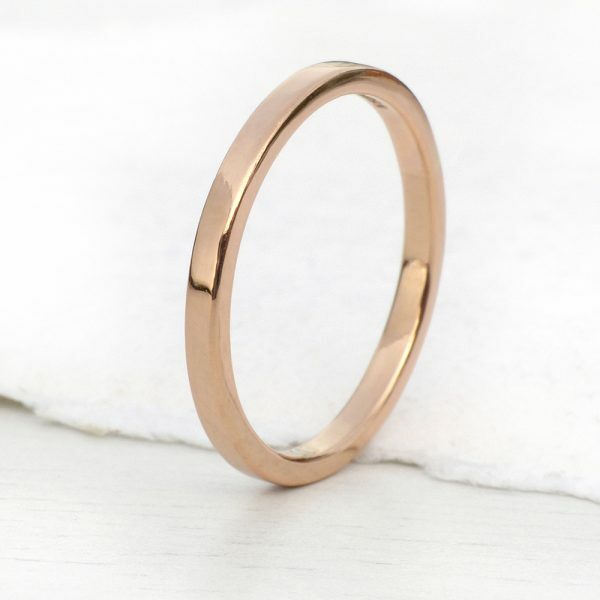 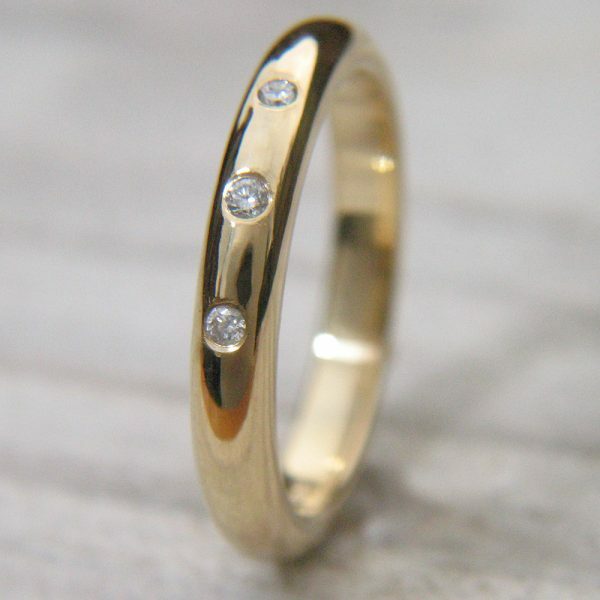 Our contemporary 2mm flat profile wedding band. 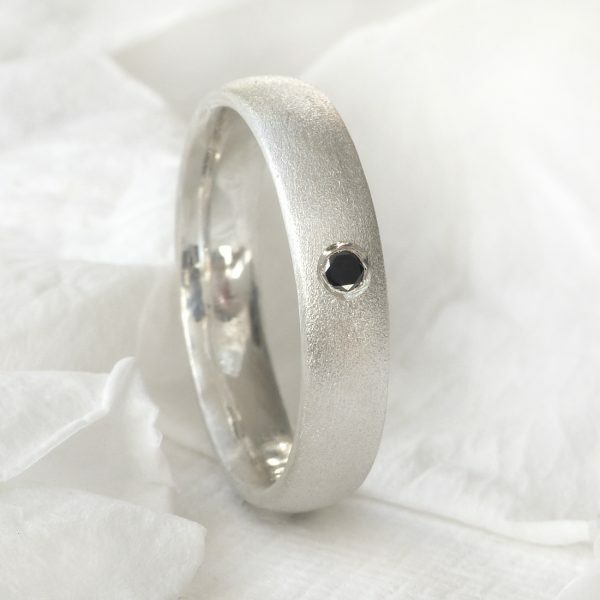 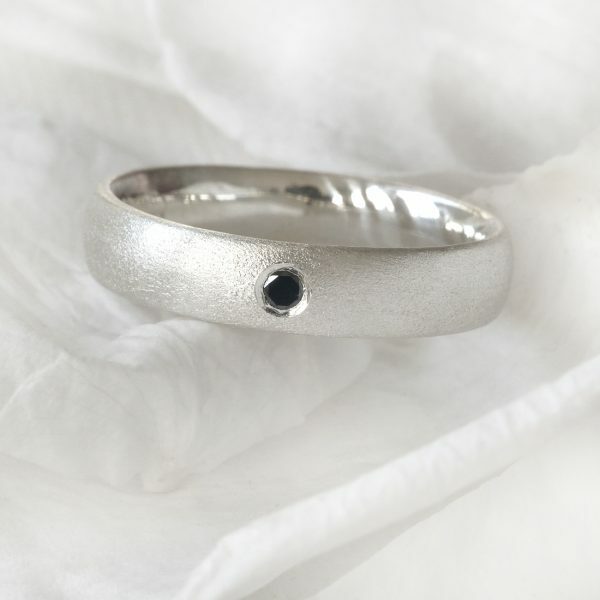 Handmade to order with ethical recycled 950 platinum in your choice of UK ring size, with 5 different finishes available.